Tax Takes sets out some initial ideas about ways in which the UK tax system could be reformed to make it work better for the whole of the population, by making it both more progressive and more effective. 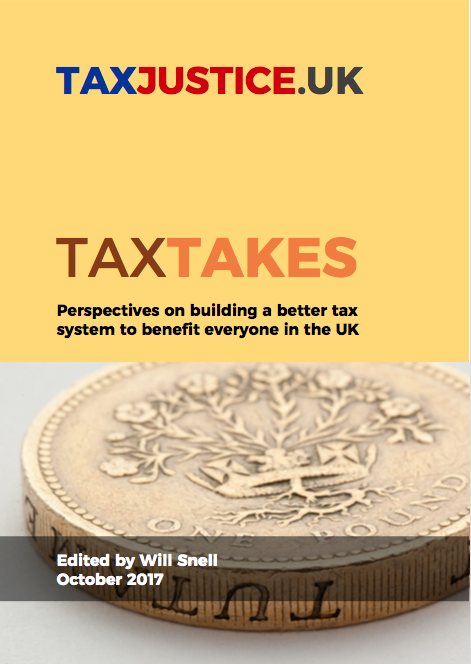 This pamphlet is made up of a series of short opinion pieces, each of which represents the opinions of its author, and none of which should be interpreted as an official statement of policy on behalf of Tax Justice UK. In 2018, we plan to publish detailed information and analysis on all UK taxes, as well as an annual research report looking at the design and impacts of the UK tax system as a whole.